Live at Cubadisco is the follow-up to the project Ninety Miles (2011), a video documentary accompanied by a studio-recorded CD which focused on the jazz and popular music traditions of New Orleans and New York and the musical and cultural connections with Cuba and the rest of the Caribbean. In fact, the title refers to the short distance between the US and Cuba. 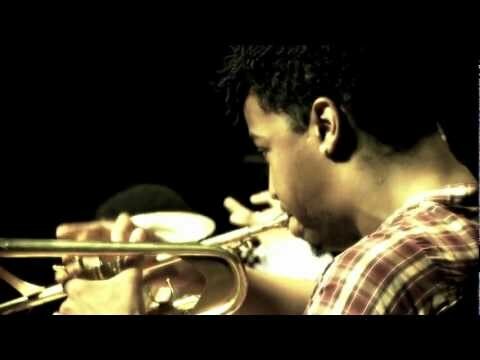 Three young and prestigious jazz musicians of African descent are the leaders of the project: trumpet-man Christian Scott (New Orleans), saxophonist David Sánchez (Puerto Rico), and vibraphonist Stefon Harris (New York). 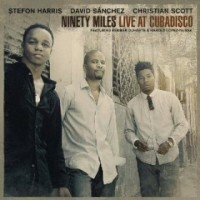 Having received great critiques on their 2011 release, the trio is back with a live release, recorded in Havana during the shooting of the documentary. Even though Live at Cubadisco includes almost the same tracks as the studio version, the concert—which took place at Havana’s Teatro Amadeo Roldán in 2010—brings them back to life in a reshaped form, with an energy and creativity that is unique to live performances. For this show, the featuring trio relied on two backing bands, both of them composed of top-notch Cuban musicians on piano, bass, drumkit, and Afro-Cuban percussion. These back-up musicians deserve great credit, for they are largely responsible for the overall musical sound, while the two pianists (Rember Duharte and Harold López-Nussa) also contributed two of their own compositions. Overall, the album is a great sample of contemporary Latin jazz, where the complex stew of Cuban jazz and other Caribbean popular and traditional sonorities blend with New York and New Orleans’ styles to produce a new hybrid sound that expands the genre.